Did you see, hear or do anything amusing or intriguing today? Let’s see….. I saw an attractive lady wearing a very patriotic monokini. I saw a woman cab driver! I heard toddlers screaming on the LIRR…. 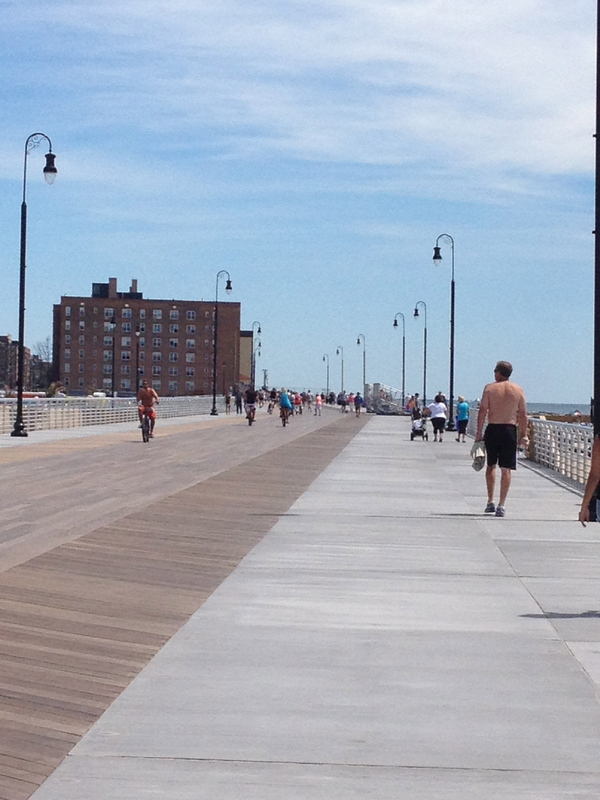 The new boardwalk at Long Beach. Just reopened! 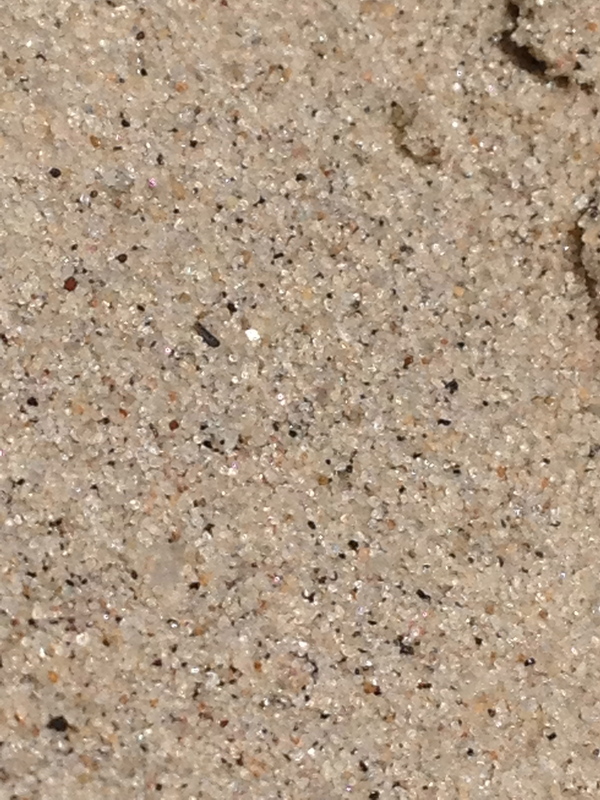 I examined sand and thought how amazing it was. Weathering is an amazing process! I was in disbelief that I was in an area that was washed away in a hurricane (see CitiBiking post and watch the video link). 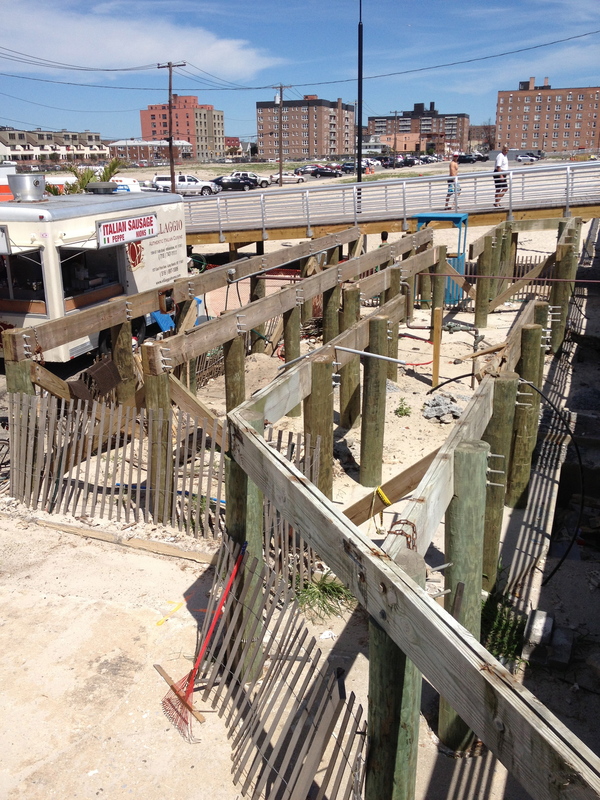 Old boardwalk, damaged from the storm. I watched many, many, many aircraft fly over the beach. I saw a townhouse with a bright blue door. Keep your eyes peeled, you never know what you’ll see. ← Very Inspiring Blog Award! Umm… Is it bad that I kiiiiind of want that über patriotic monokini?? Hahah I don’t think I would actually wear it but still, it’s just so AMERICAN! Hahahaha! It kind of even looked good on the lady, but it was a bit much – but perfect for the 4th of July!